Your Special Day Is Our Special Day! 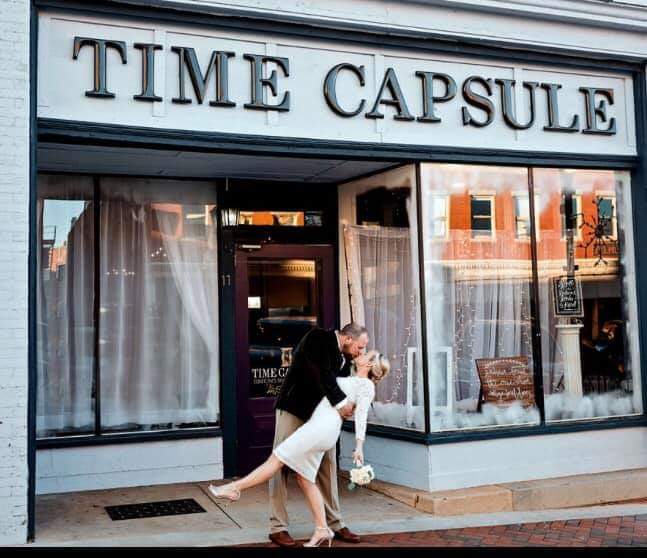 Time Capsule is an event venue located in the heart of historic downtown Elberton, GA. The building was constructed in 1894 and is steps away from the Samuel Elbert Hotel, Elbert Theatre, downtown shops and restaurants, and the Granite Bowl football stadium. This newly renovated building features a caterer’s kitchen with prep areas, ice machine, sinks, and refrigerator. Care was taken to preserve original features when possible, utilizing the original doors, trim, and ceilings. 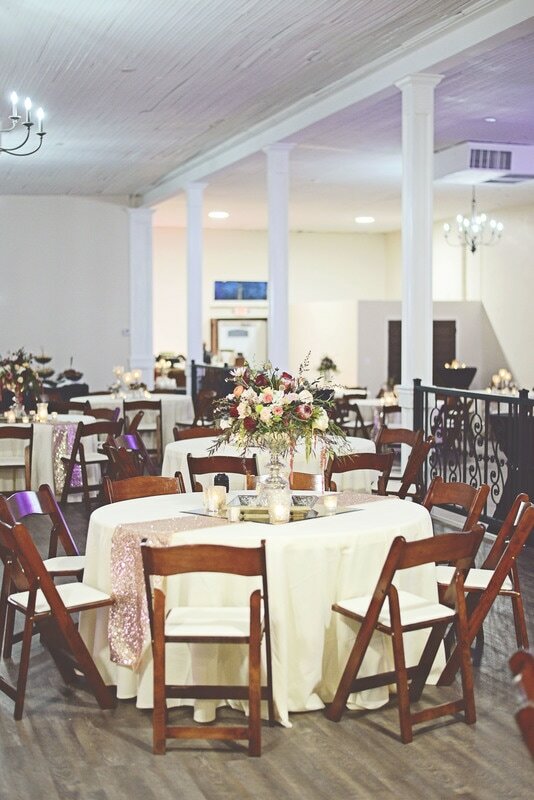 Exposed brick, elegant chandeliers, and roomy facilities make for a lovely place. 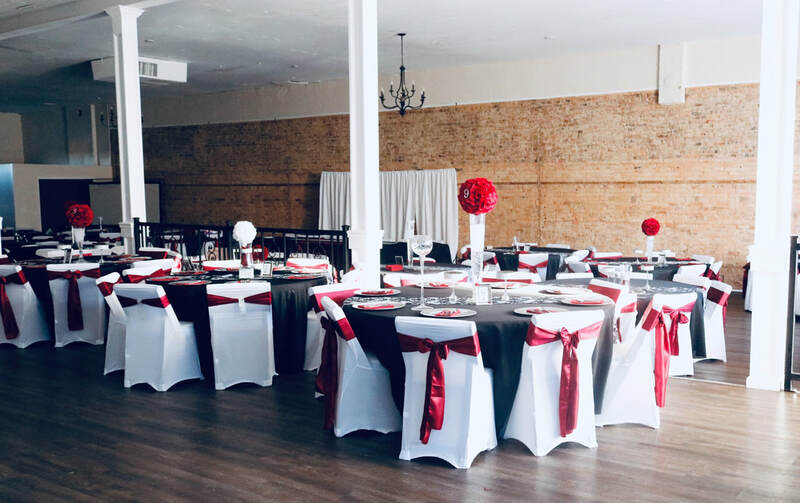 This is the perfect location for weddings, receptions, birthdays, graduations, retirement parties, and any other event of your choosing. Time Capsule building has been recently restored to keep as many original features as possible. Original windows, doors, trim, baseboards, exposed brick, and ceiling make it a beautiful space. Added renovations such as new floors, custom-made columns, and wrought iron railings give it that extra special touch. A roomy 5,000 square feet area allows for a capacity of 275 people. Perfect for any of your events! We look forward to hearing from you. Contact us today for rates and booking information. Contact us today to set up appointment or book your event!